These advertisements show that the importance of advertising with Google for those who are not able to optimize their keywords with the search engines. It is really shocking news for the Google because its advertising wing having a sound revenue model may negatively affect its clients. Google always has known for its bias free and better search results over its competitor search engines. Searches on google show that Google adwords is a guilty of racial profiling. After few articles published by a professor of Harvard University Latanya Sweeney and other gentleman Nathan Newman on this issue raises a question on the Google adwords working. Both were found that google as a search engine is doing fine without any bias but Google adwords is not bias free. It provides more results against the particular race as compared to other races. Ad results showed that someone who never ever committed any crime associated with the crime during searching few keywords. It shows that Google Adwords is a guilty of racial profiling. There are few companies which are having big budgets add more and more keywords related with their business and names of the people concerned with their business. Sweeney gave an example of a company named instant checkmate which deals in database provide the complete information about criminal offenses. Sweeney just searched her name on the Google search engine with the keyword Is Latanya Sweeney get arrested? She got one ad result with positive to the keyword on instant checkmate link because of her first name sounding similar to the black people but when she accessed the full information got nothing about her. After enquiring with the official representatives of the advert company she confirmed about the biasness in the algorithm calculations prepared by the Google towards particular race. On the basis of research results it is clear that Google Adwords is guilty of racial profiling in some cases. 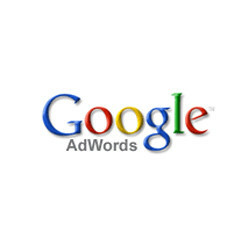 Now it is a matter of concern for the Google Adwords that it will affect the business of Google at one end and also builds a negative image among the particular race against which it is showing results more often. Google search engine is known for its ethical practices in the past and the recent researches showing just opposite about its advertising wing Google Adwords. In long run it may hamper the brand image of Google Adwords and Google as a whole because it is not only a matter of discrimination but also a legal matter for which Google has to face court case in future if proved. About Author: Ravi Kumar Gupta is a freelance guest author. He writes about SEO and helps his clients acheive good result. Every company is trying out new and creative ideas to grab the attention of the users so, if you are running out of ideas then get in touch with the SEO India Agency for intelligent marketing which will be taking you to the top of the Google list.